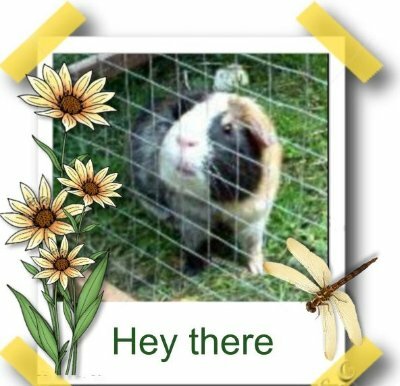 Accommodation Posh Bunny Motel rabbits,guinea pigs, ferrets, chinchillas, mice hamsters,rats,Lymm Altrincham Cheshire Small Pet Boarding. 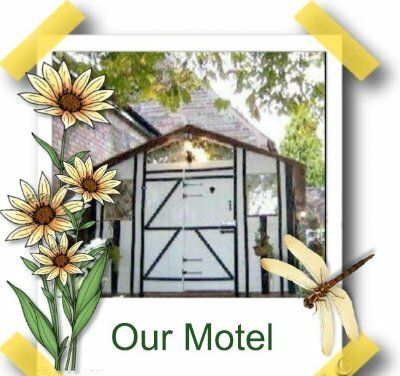 The Posh Bunny Motel is tucked away behind our idyllic cottage and the boarding units are inside. 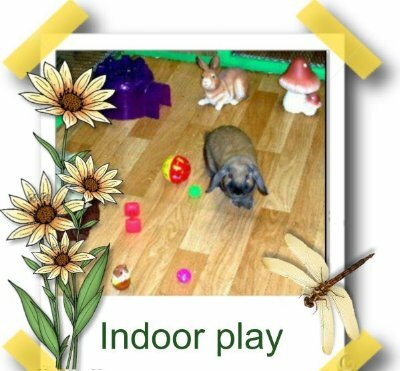 Posh Bunny Motel, the boarding facility with a difference, has opened its doors to all things small and furry. 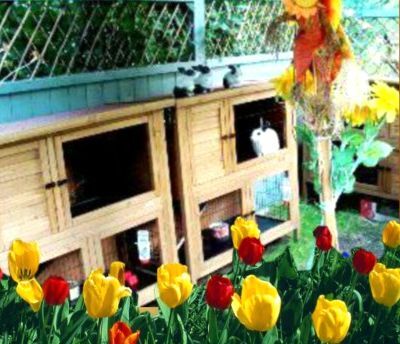 This cosy environment is the perfect holiday home for posh pets. 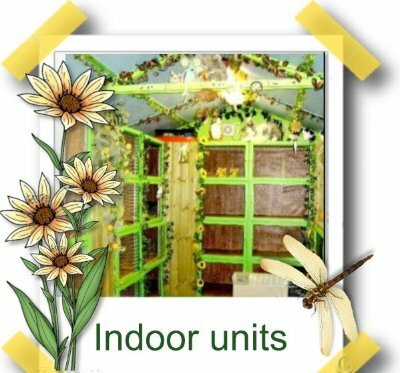 All of our boarding units are made from natural wood. 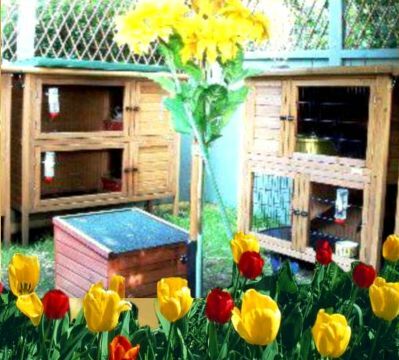 We have a variety of hutch sizes to suit your pets' needs, ranging from 90 x 60 x 45 cm to 140 x 60 x 45 cm. 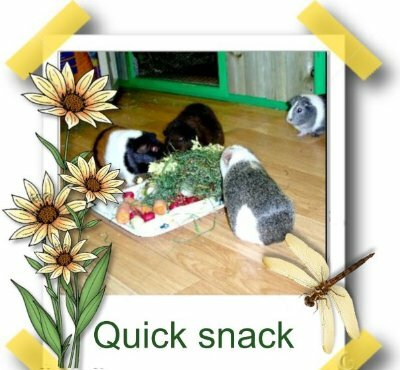 All our visitors at Posh Bunny Motel will receive regular exercise, a selection of good food and will be cleaned every day. 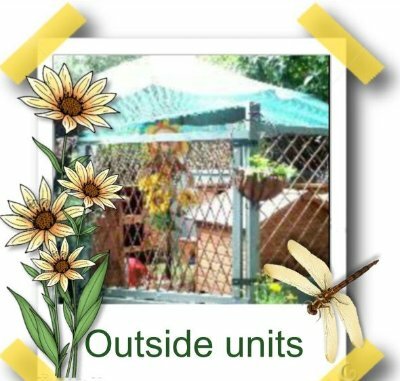 The outside boarding units are opposite the motel behind the secure fence with a big umbrella and a net for protection from sunshine and wild birds. We call this place " Freedom Square" as the rabbits can run there free in the day. Night time the freedom square is locked up. 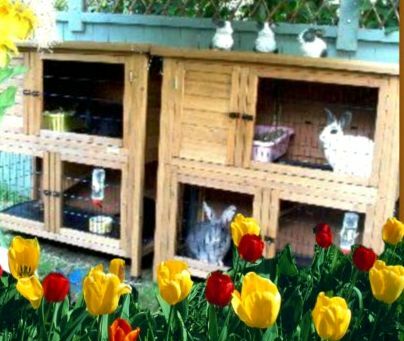 Boarding units outside are diferent sizes, single and double hutches suitable for rabbits which prefer to live outside. 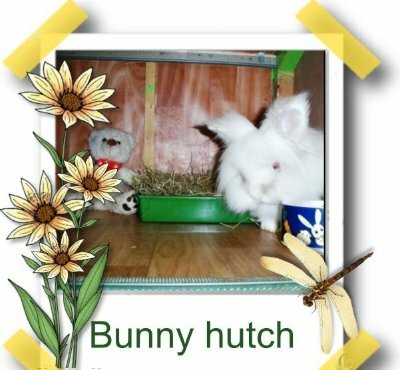 We have covers for all hutches in case of rain or bad weather to make the rabbits feel most comfortable. See more pictures on the bottom of the page. We aim to provide the most comfortable bedding for your pet. 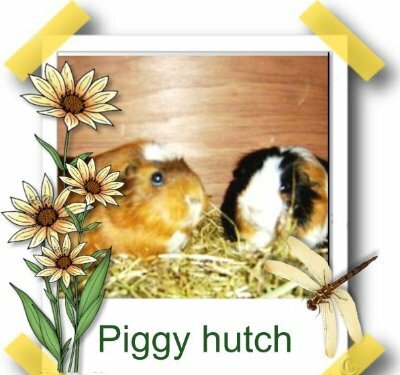 In our hutches we use paper, wood shavings and good quality hay. If you prefer something different or if any of these items are unsuitable for your pet, please let us know. 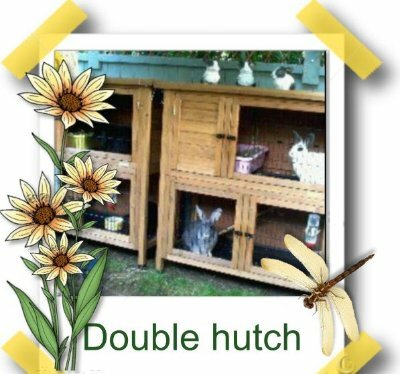 To maintain a high standard of hygiene, each hutch has been lined with linoleum. 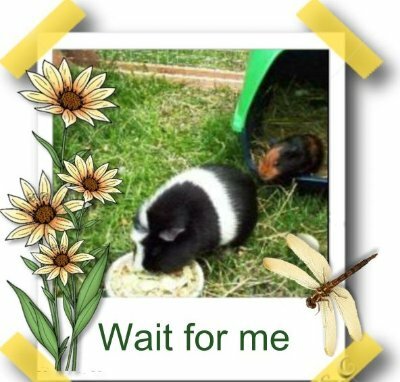 Pet lovers no longer have to worry about the safety and well being of their treasured animals whilst they are away. They can now book their pets in for a holiday of their own. 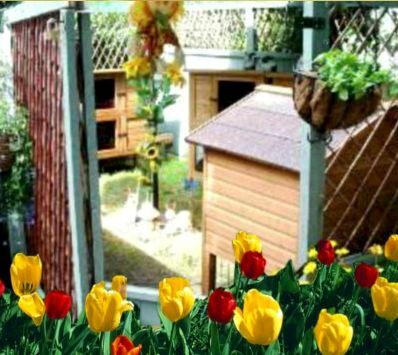 Each pet has, in their own cage plenty of soft bedding, a bowl for dry food, another for fresh fruit and vegetables, a bottle of fresh water, toys and a litter tray. 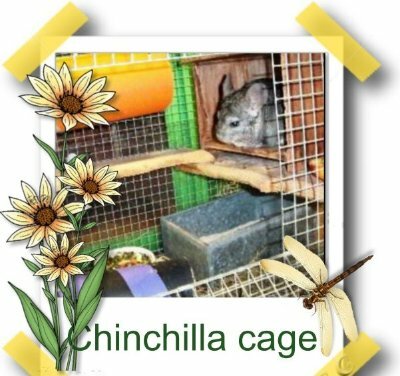 Our chinchilla cage is made from strong metal wire and has all the accessories necessary for chinchilla's comfort. 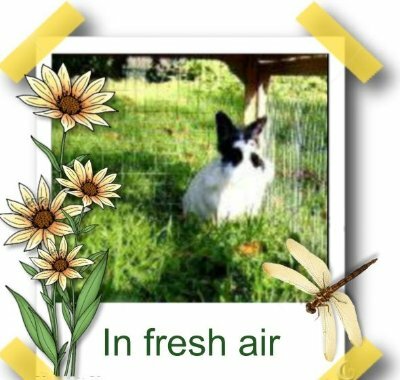 The cage is away from direct sunlight and draughts and out of reach of any other pets. If you wish, during the day, the door we can leave open to let your pet run free and have plenty of exercise inside the motel. 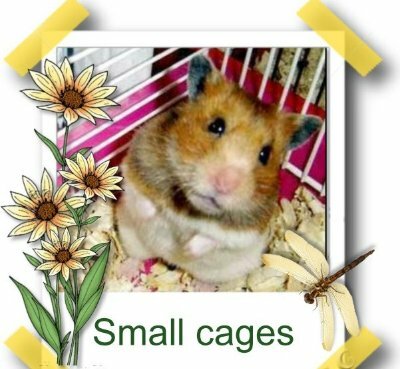 Also available are special cages for your small furries, such as mice, gerbils or hamsters. 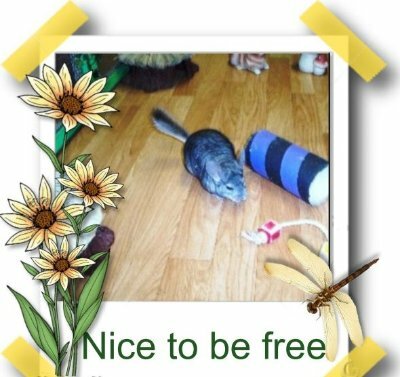 However, if you prefer your little friend to stay in their own cage, you are welcome to bring it with you. A full gourmet menu is available for your pets and with prices starting from as little as £1.50 a day, it could be the best value motel ever. 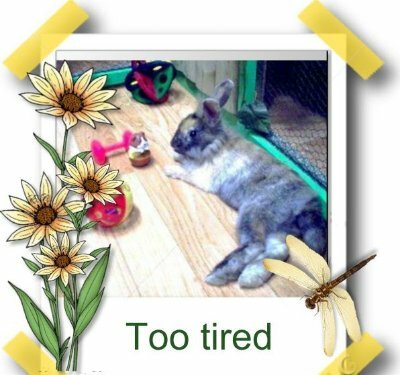 All our visitors at Posh Bunny Motel will receive regular exercise during the day. 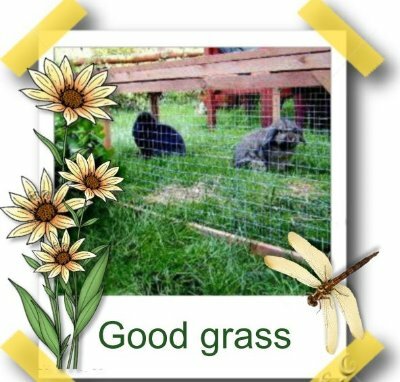 We have a large area of grass, so when the weather is fine, your pets can spend a few hours playing outside in our secure garden runs, where we are able to keep a close eye on them. 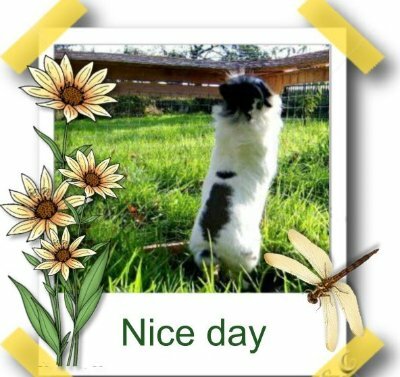 In the morning if good weather all rabbits are put outside in secure runs ware they can spend all day running around. 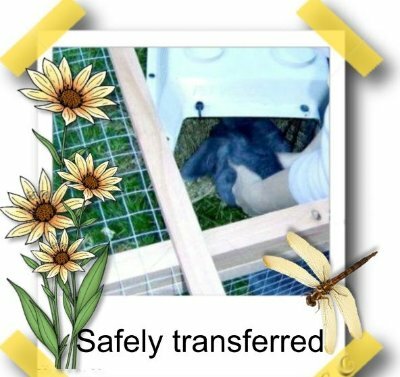 As the rabbits are very active and can easily escape to ensure their safety each rabbit is transferred from the motel to the run in a carry cage and by the end of the day each rabbit is returned to the motel the same way. 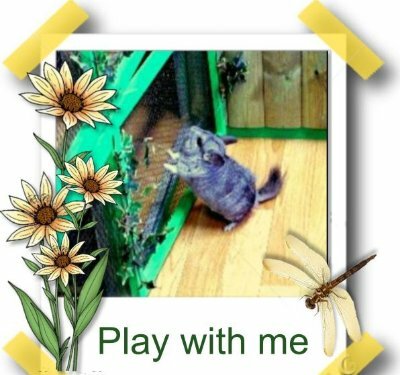 enjoy playtime and exercise helps them to stay fit and healthy. They need to be able to run and work their muscles. We want to provide the very best care that we can for your pets.